If you didn’t get a chance to download FlyCast, the mobile satellite radio app for your iPhone, then get on it! It’s just one of the coolest free apps out there in the App Store. 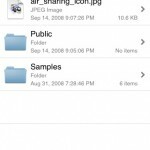 Speaking of free apps, today we’re going to check out Air Sharing, a free store file application that lets you mount your iPhone or iPod Touch as a wireless drive on a PC/Mac/Linux computer. You’ll be able to drag and drop files and view them on the go too! Mount your iPhone or iPod touch as a wireless drive on any Mac, Windows, or Linux computer. 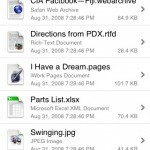 Drag-drop files between your iPhone or iPod touch and your computers. View documents in many common formats. 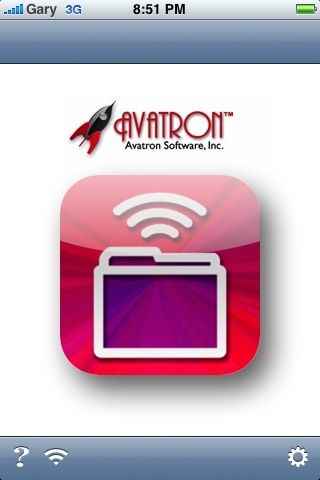 This app is pretty cool because now you can take your files with you anywhere. There is the option to set a password and also a public access folder for guests. The app works across all platforms so that means Windows, Mac, Linux, and also any web browser. It’s like your iPhone is now a wireless USB thumb drive! Just to reiterate, download Air Sharing now while you can because in exactly one week it won’t be free anymore! For those using Air Sharing at the moment, what are your thoughts on the app so far? I love it and it makes my iPhone just that much more useful (than it already is of course! ).